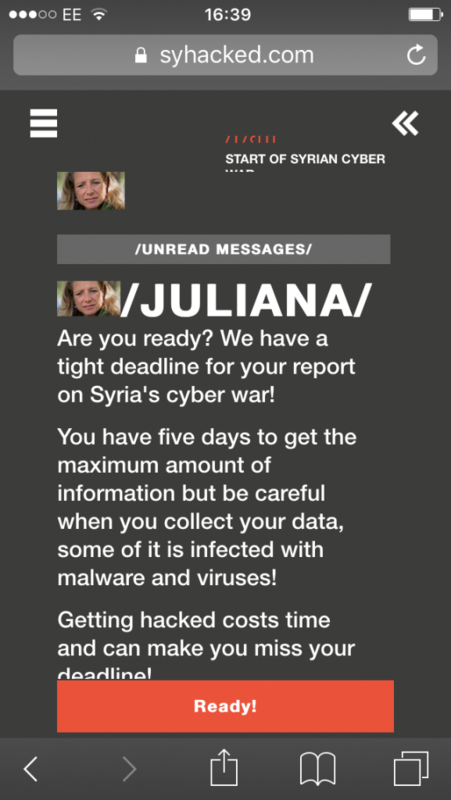 Al Jazeera English launches a mobile game about the Syrian cyberwar: #HACKED – Syria’s Electronic Armies. 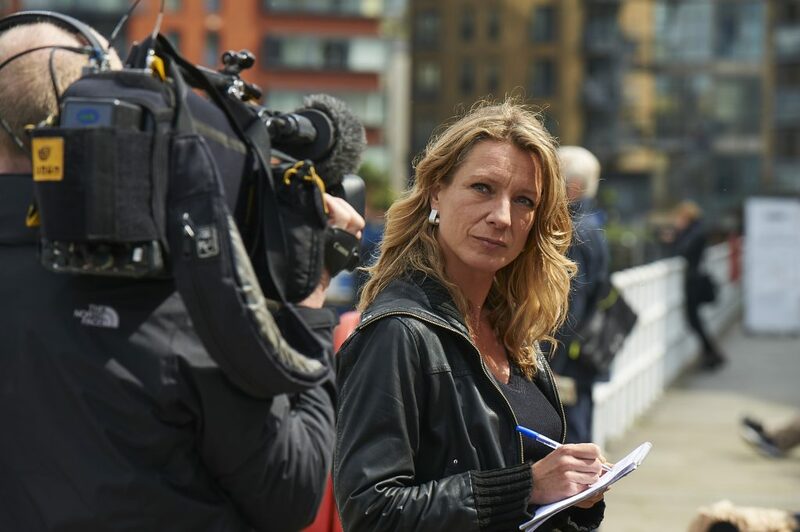 Learning from her experience while producing Pirate Fishing in 2012, Juliana Ruhfus, senior reporter for Al Jazeera’s People & Power investigative and current affairs strand, has decided to go mobile for her second interactive investigation. Pushing the boundaries of traditional journalism, #HACKED is Al Jazeera’s latest experiment to introduce ‘a new kind of war’, Syria’s cyber war, to an audience that has little interest for the news and would normally not go to Al Jazeera’s website. #HACKED is a game. It is an investigation you can do through your mobile phone, tablet or computer by going to https://syhacked.com. Once you log into it you will be given your assignment, and a limited amount of time to complete it. ut be careful, if you rush into it and do not take the time to consider your options, you might be at risk to be hacked yourself! The trick is that as you navigate through a story you would normally not have access to, you also learn what investigative journalism is all about. Two learnings through one game. In this interactive investigative adventure, Ruhfus and her team have thought at length about what she calls the “what do you get for your click issue”. If user engagement depends on the player’s agency, then the user needs to feel a clear agency on the story: every click need to count. As a result, in #HACKED, the user journey is designed in such a way that you feel really responsible for what is going to happen next in the investigation. You are in the frontline. Ruhfus said that the facts in #HACKED are true. This is not just entertainment. Most of the facts and characters are coming from her own investigation on the story when she produced Syria’s Electronic Armies in 2015, a documentary for Al Jazeera’s People and Power series. “Every hack in the app is based on a real hack that has taken place,” she said. “Texts from hackers have been taken from court documents. The social engineering we use to deceive you in the simulated hacks, how we’re creating an avatar that’s enticing you to click on something, is exactly what happened during Syria’s cyberwar”. I have played the game myself, and asked my own 14 years old boy to try it. Interestingly, he really engaged with it. “Compared with Pirate Fishing”, he said, “this really feels like I am discovering something by myself, while the other (Pirate Fishing) was a series of videos hidden in a game interface but with no game play”. “But do you care about the story?”, I asked, wondering if the fact of clicking was more engaging than the topic itself. “Yes, he said, it is about hacking and danger… so it is cool”. Not sure the whole dimension of the danger of this type of war got into his mind, but I suppose this is a start. I have played the game myself and I would agree with him, the graphics might be simple, but when you play on your phone that does not matter, and the story is quite gripping. So… why not trying it for yourself? Go to #HACKED and let us know! 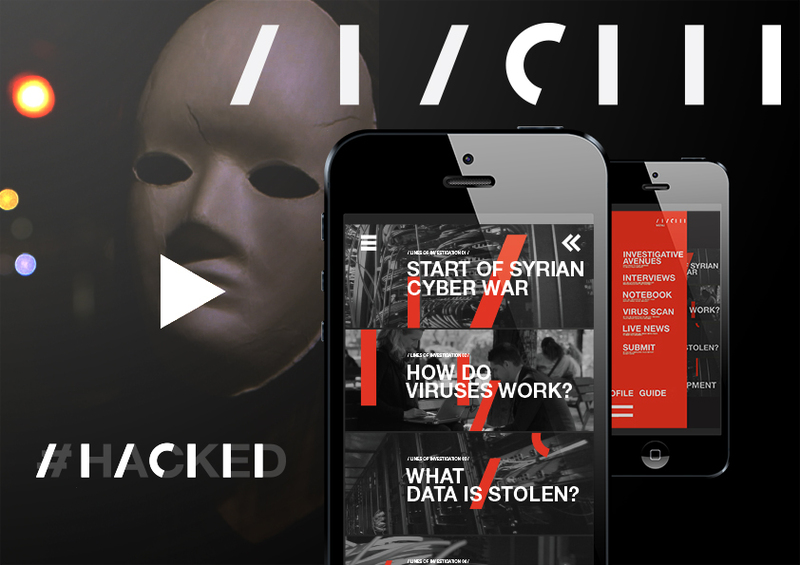 Soon we will publish an in-depth case study on #HACKED’s production process, with interviews with Juliana Ruhfus (Director), Nataly Rios Goico (co-Producer), and Ilze Juhnevica and Zahra Warsame (Interactive Designers) – so stay tuned! And finally, if you want to give a hand to Juliana Ruhfus, who came to present her work on progress at i-Docs’ 2016 symposium, maybe you can help with some social media promotion! If we want broadcasters to invest more in interactive projects, we need to make sure that this kind of investigation hits the market and has a visible impact. We, the i-Docs community, have a role to play.